You know the show's a winner when your neighbor thanks you for recommending it, and has already purchased tickets to see it again with a friend. Of course, John Reynolds, my neighbor, has more than the usual interest in music and music history; he recently co-edited a book about the legendary Huddie Ledbetter (Lead Belly: A Life in Pictures) who influenced artists from Frank Sinatra to the Rolling Stones. Even if you are someone like me, who makes no pretense to know much about 20th century music, this performance is a delight. An imaginary meeting of Irving Berlin and Scott Joplin, it offers snippets of songs of a bygone era, a little dancing, some romance and just a bit of biography. Tim Pan Alley Rag is sure to entertain, see it now through September 6 at the Laura Pels Theatre. After joyous applause and an enthusiastic standing ovation for the cast, you will leave the theatre uplifted with a smile on your face, because the story of these two men is truly an inspiration. Known in their day as the "Kings of Ragtime," one, an impoverished immigrant, the other, the son of a former slave, these are "Only in America" stories. Israel Isidore Baline was five years old when he fled with his parents from Russia after their home was set aflame during the harsh anti-Jewish pogroms. 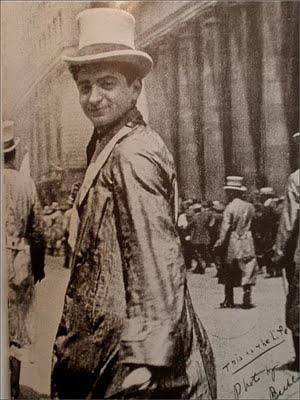 At eight his father died, forcing him to leave school to help support his seven siblings with the meager pennies he earned on a newspaper route. Without doubt, there was no money to learn music or study piano. Yet, despite these disadvantages he would become America's greatest songwriter with over 1500 songs to his credit ("God Bless America" perhaps his most famous). Joplin as a youngster accompanied his housekeeper mother to work where he came in contact with the piano; as in the case of Berlin, there was no money for lessons, so he taught himself. A German professor of Music, a neighbor of his mother's employers, heard him play and offered to give him lessons for "free." 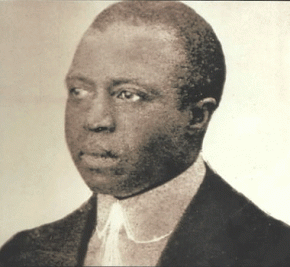 Trained in European Classical music, he went on to create a truly American musical form called "Ragtime," a compilation of polka, folk and opera, African American work songs, and spirituals. His music was totally unlike the formal measured rhythms of the tame music appropriate for "respectable" people; this was music to make one kick up their heels and move. As one composer said at the time, this was the first music that "sounded American." 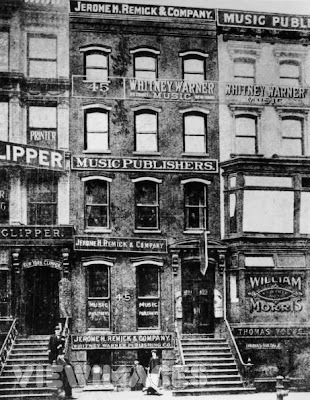 Set in Berlin's office in Tin Pan Alley (28th Street between Fifth and Sixth Avenues) where music producers of the day had their offices; take a step back in time to learn a little, cry a bit and appreciate these two legends of American music. Address to Remember: Laura Pels Theater, 111 West 46th Street, New York, NY 10019. 212-719-1300, http://www.roundabouttheatre.org/. Directions: From Times Square a short walk north on Broadway to 46th Street, turn east toward Sixth Avenue to theater.